Almost a year ago I was struggling to perfect my pastry techniques. One year on, I picked up skills and learned how to improvise along the way. I get used to working without any assistance but it is not easy. I tell you. I failed several times but through those failures, I became bolder to try different ways in order for me to achieve a better result. One year on, I still discover new method and the process is never ending. 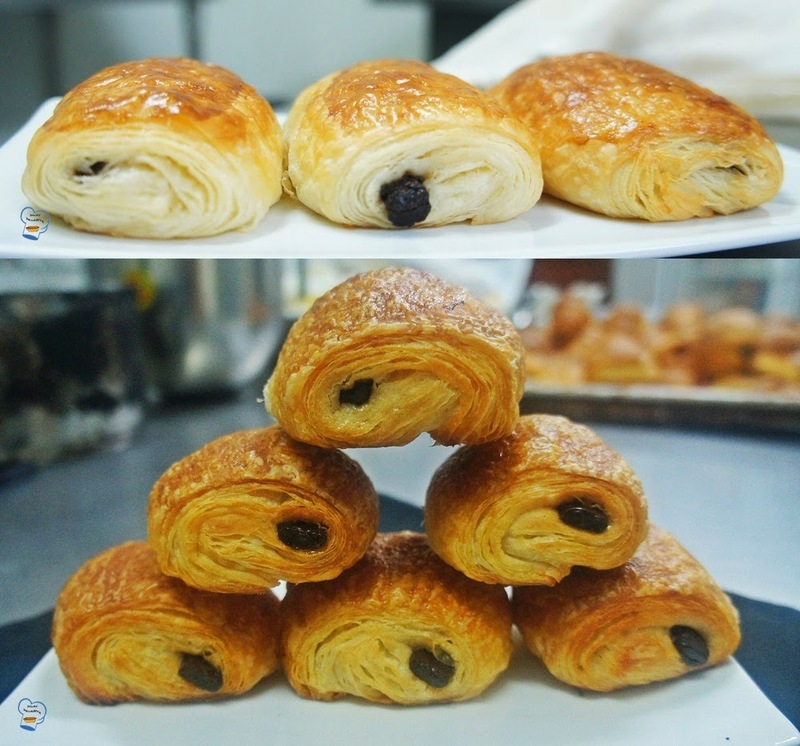 As I look back, I couldn't help but notice how much my croissants, pain au chocolat and Danish pastries have improved. I am on the right track I suppose. 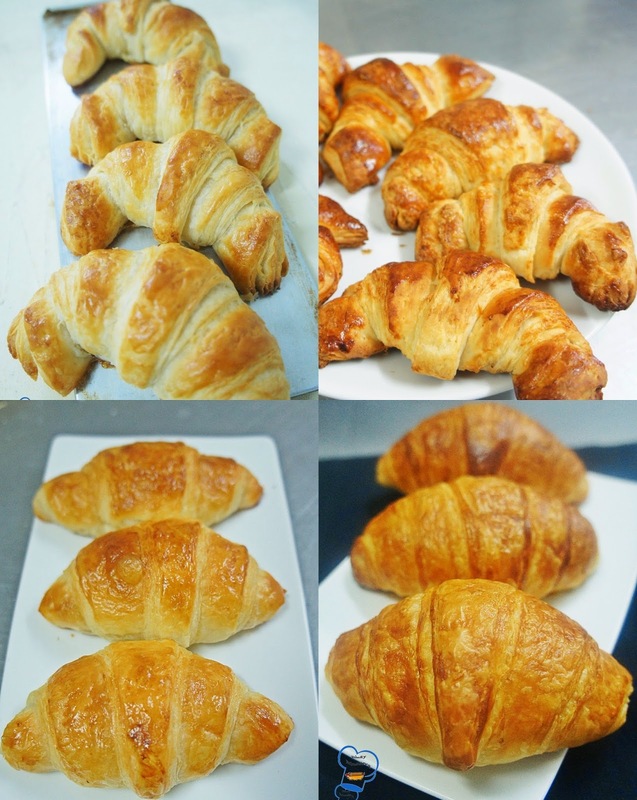 Notice the changes in the croissants below. The first two pictures were taken a month or two after I began working at the resort. I have no dough proofer at the bakery. It took me a while to get it right but I succeeded getting them crispy in the outside but light and fluffy in the inside. Same thing goes for my pain au chocolat. For a few months, I couldn't get them fluffier. I was finally able to get better looking goodies ( photo below). 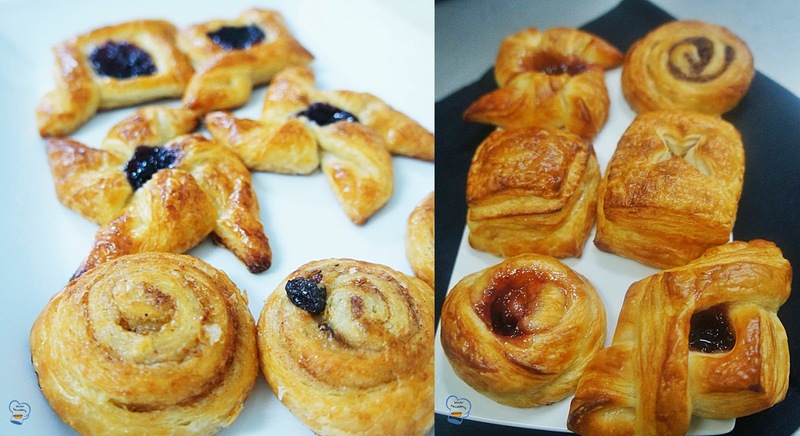 My Danish pastries develop a lot more volume this time.